I always love trying out the newest carrier and bitybean was no exception! They are a Cleverly Compact carrier, it is so thin and takes up no room at all, so I was excited to try it out. I received the Lime along with the fleece liner since it's quite chilly here in Michigan. The carrier truly fits in that little storage bag it came with! And YES I got it back in there with ease! The fleece liner is great. The carrier has those yellow tabs on it and the liner velcros right into place. Perfect for winter. I wouldn't use it with my 3 year old because it doesn't go knee to knee. Not enough fabric. But it's perfect for younger babes. He's 10 months old here. 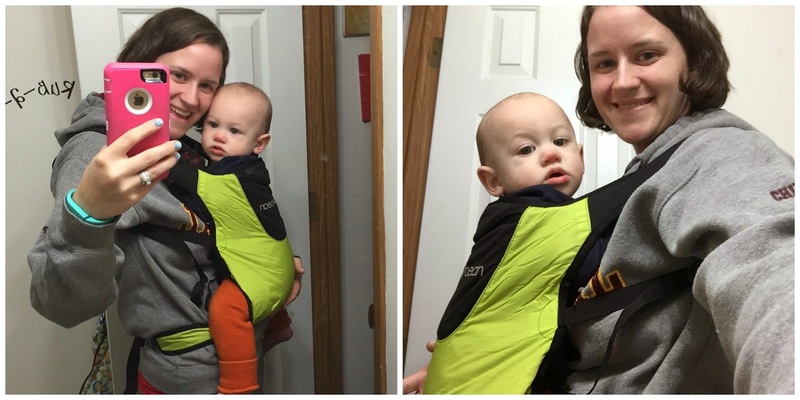 The bitybean carrier is meant for 3 months and up and from 8-40 pounds. It weighs only 8 ounces and is super compact, just the size of a child's water bottle when it's in its storage sack. It is 60% nylon and 40% polyester and the best part is it's machine washable. Comfortable anatomic shoulder and waist straps make this carrier really comfortable. 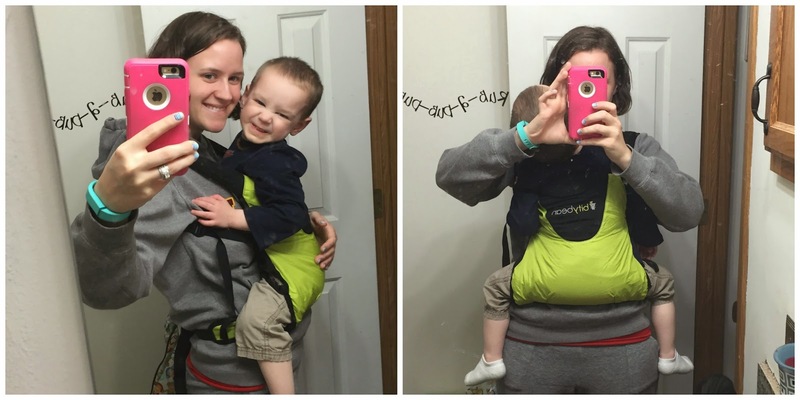 The waist flips before you put it on to help secure the child and it is fully adjustable for multiple sizes of people. I wish the straps had a bit of padding in them, but other than that this carrier is comfortable for short time use. I wouldn't use it for longer than about an hour because the straps dig, but it's super small and light and great for errands. 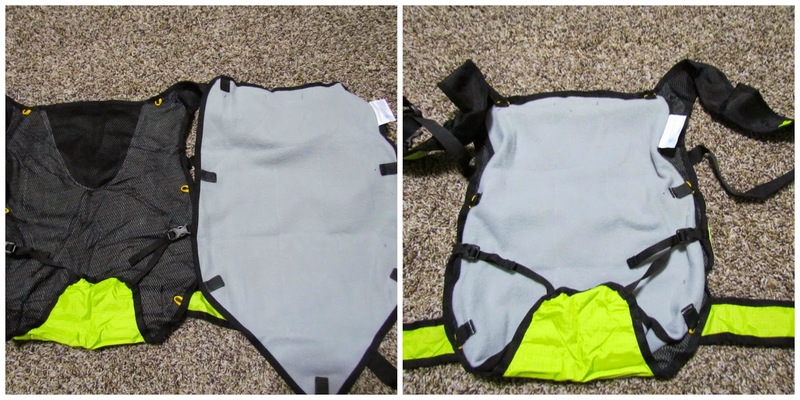 The carrier comes in a few colors, Lime, Carrot Orange, Sand Grey and Sky Blue. Overall: **** I just wish the straps had padding. 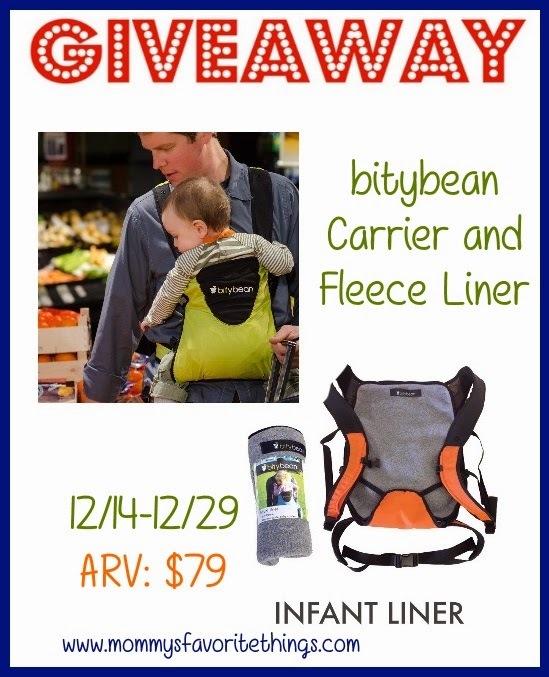 You have a chance to win a Carrier of Choice and Fleece Liner worth $79!! I would definitely choose carrot orange! I like the Carrot Orange for my son and daughter in law expecting in April. If I were lucky enough to win, I would choose the Sand Grey color. I might choose sand gray or Lime green. I like the Sand Grey! I like the sand grey the best! I would choose the sky blue. I would choose the sand gray color. I'd love to have Sand Grey! I would choose the sky blue carrier! I would love to have the Sky Blue Carrier to use with my son. I would get the Sand Gray!